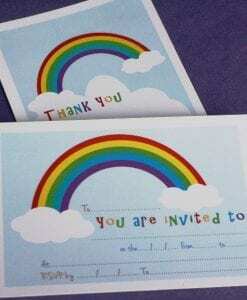 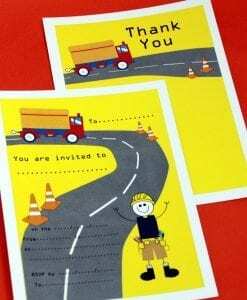 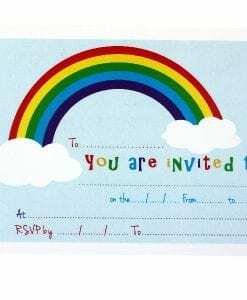 Polka dot invite & thankyou cards are ideal for a rainbow birthday party. 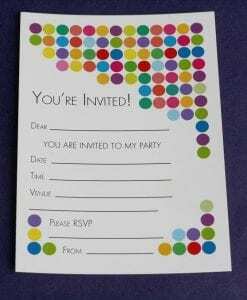 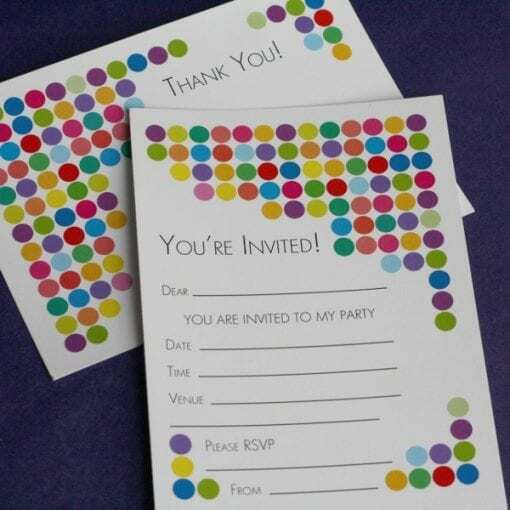 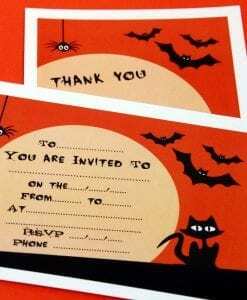 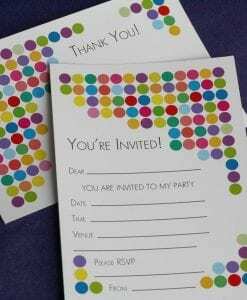 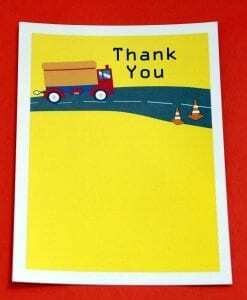 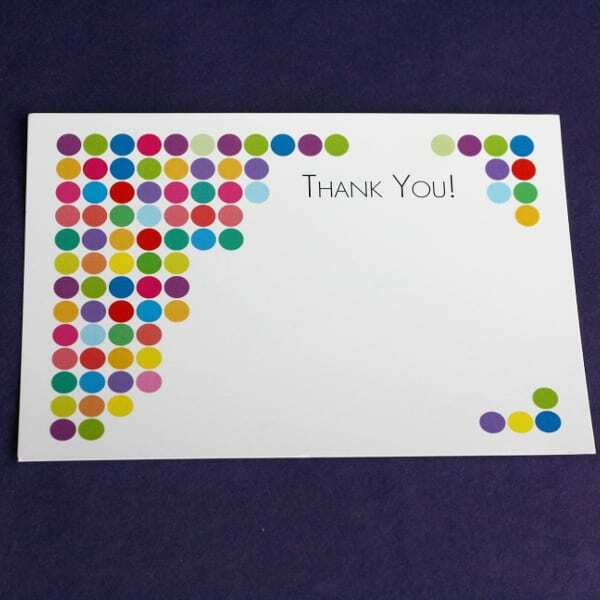 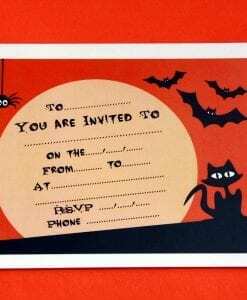 Fill-in postcard-sized polka dot party invite & thankyou cards are brightly coloured and printed on one side. 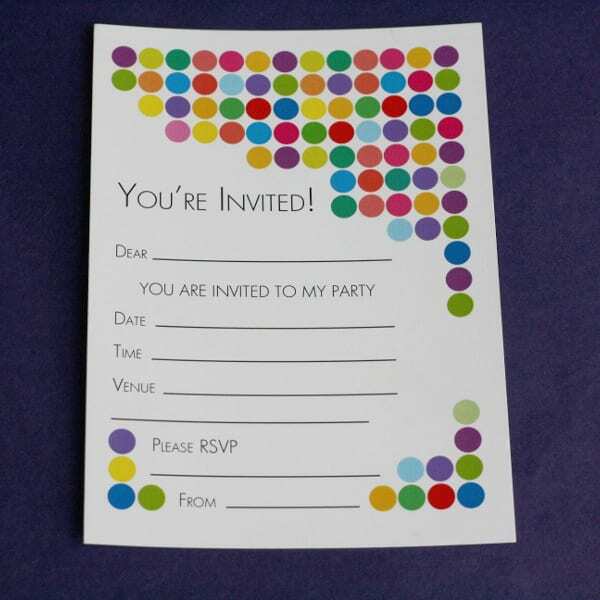 They feature multicoloured spots on a white background.